Dixon and Stein’s score for season one of the series won a Primetime Emmy Award for Outstanding Main Title Theme Music, as well two Grammy nominations. For Stranger Things’ latest series they have added new elements and styles of composition to support the continuing story. 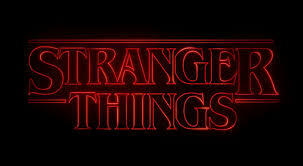 Both Texas natives, Dixon and Stein were born in the early 1980s when the inspirations for Stranger Things were being made. They met as teenagers and both gravitated towards the analogue, electronic tones of their childhoods. They formed the band S U R V I V E in 2009 along with Mark Donica and Adam Jones, since then the group have toured the U.S. and Europe, and recently released their second studio album, RR7349 (Relapse Records). Creators of Stranger Things, the Duffer Brothers, enlisted the talents of Dixon and Stein after hearing the band’s classic synths spun into distinctly modern sounds. Stranger Things is a multi-award winning science fiction-horror web television series with a cast including actress Winona Ryder. Debuting in July 2016, series one centred on the disappearance of a young boy amid supernatural events occurring in the fictional town of Hawkins, Indiana. Series two was released to much anticipation via Netflix on 27 October 2017. Tickets £18.50 - 25 plus booking fee On sale to Barbican members on today and on general sale on tomorrow.